Cape Peron, Western Australia. J.M. Huisman. © J.M. Huisman. Australia. 09 Dec 2011. Robert Anderson (anderson@botzoo.uct.ac.za). © Robert Anderson (anderson@botzoo.uct.ac.za). Rottnest Island, Western Australia. 25 May 2011. John Huisman. © John Huisman (j.huisman@murdoch.edu.au). Point Lonsdale, Victoria, Australia. 03 Dec 2010. M.D. Guiry. © Michael Guiry (mike.guiry@nuigalway.ie). Ecklonia radiata, Fortesque Bay, Tasmania. 03 Nov 2009. M.D. Guiry. © Michael Guiry (mike.guiry@nuigalway.ie). Hamelin Bay, Western Australia.. John Huisman. © John Huisman (j.huisman@murdoch.edu.au). Point Lonsdale, Victoria, Australia; subtidal plants. John Huisman. © John Huisman (j.huisman@murdoch.edu.au). Type locality: "New Holland" (Womersley 1987: 332). Type: LIV (Womersley 1987: 332). John et al. (2004) cite the authority for this species as "(Turner) J. Agardh". Fucus radiatus Turner, the supposed basionym is, however, an illegitimate name. According to Silva et al. 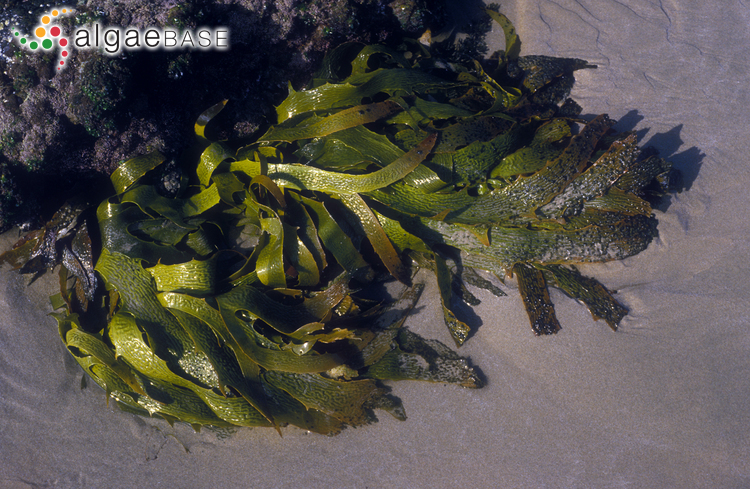 (1996) the name Laminaria flabellata was misapplied to this species by Drege (1843: 156, 159, 197) and possible misapplied names for this species include Capea biruncinata, Ecklonia biruncinata and Ecklonia radiata forma biruncinata. Please consult the original text for a full listing of the authors. Accesses: This record has been accessed by users 11953 times since it was created. Barratt, L., Ormond, R.F.G. & Wrathall, T.J. (1986). Ecological studies of Southern Oman kelp communities. 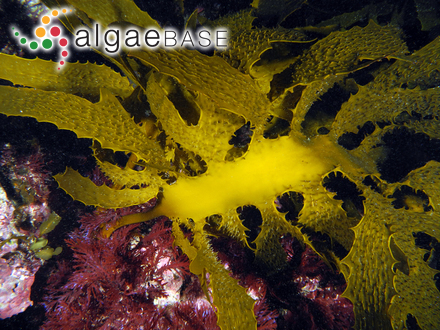 Part 1. ecology and productivity of the sublittoral algae Ecklonia radiata and Sargassopsis zanardinii. pp. XII + 109 + iv. Muscat: Tropical Marine Research Unit, University of York and Council for Conservation of the Environment and Water Resources. Fenton, G.E. & Ritz, D.A. (1989). Spatial variability of 13C:12C and D:H in Ecklonia radiata (C. Ag.) J. Agardh (Laminariales). Est. Coast. Shelf Sci. 28: 95-101. Hatcher, B.G., Kirkman, H. & Wood, W.F. (1987). 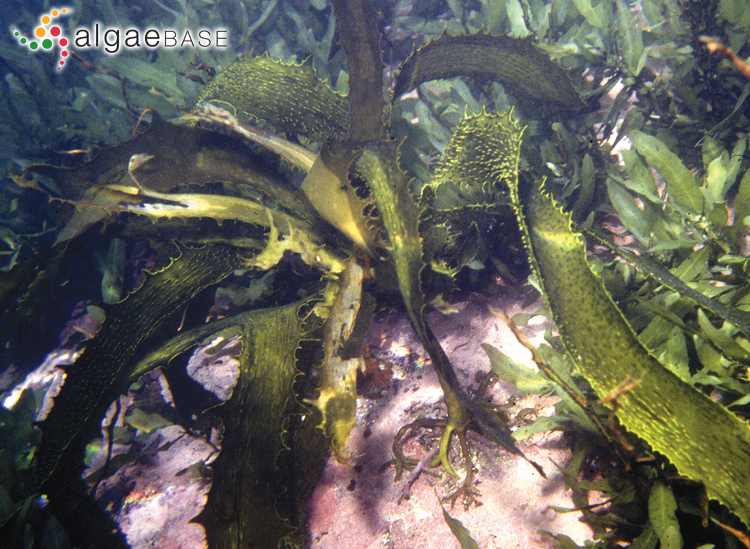 Growth of the kelp Ecklonia radiata near the northern limit of its range in Western Australia. Marine Biology, Berlin 95: 63-73, 6 figs, 2 tables. Higgins, H.W. & Mackey, D.J. (1987). The role of Ecklonia radiata (C. Ag.) J. Agardh in determining trace metal availability in coastal waters. I. Total trace metals. Australian Journal of Marine and Freshwater Research 38: 307-315. Higgins, H.W. & Mackey, D.J. (1987). The role of Ecklonia radiata (C. Ag.) J. Agardh in determining trace metal availability in coastal waters. II. Trace metal speciation. Australian Journal of Marine and Freshwater Research 38: 317-328. Jennings, R. (1967). The development of the gametophyte and young sporophyte of Ecklonia radiata (C. Ag.) J. Ag. (Laminariales). Journal of the Royal Society of Western Australia 50: 93-96, 2 figs, 1 table. Kendrick, G.A., Lavery, P.S. & Phillips, J.C. (1999). 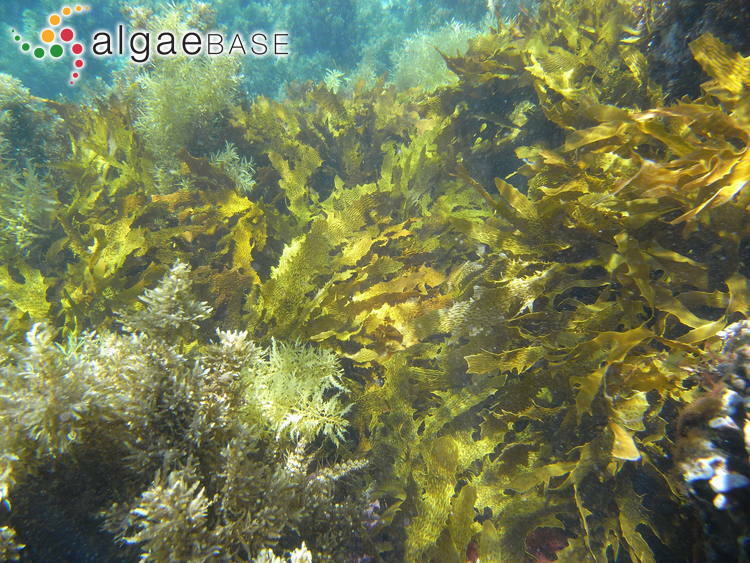 Influence of Ecklonia radiata Kelp canopy on structure of macro-algal assemblages in Marmion Lagoon, Western Australia.. 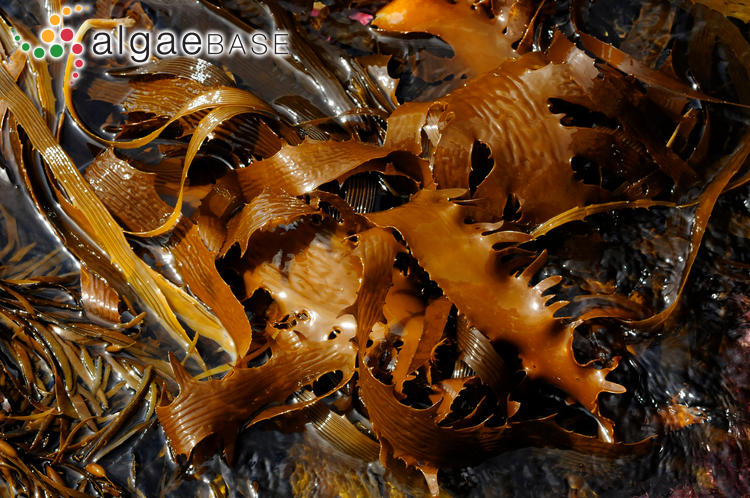 Proceedings of the International Seaweed Symposium 16: 275-283. Kirkman, H. (1981). 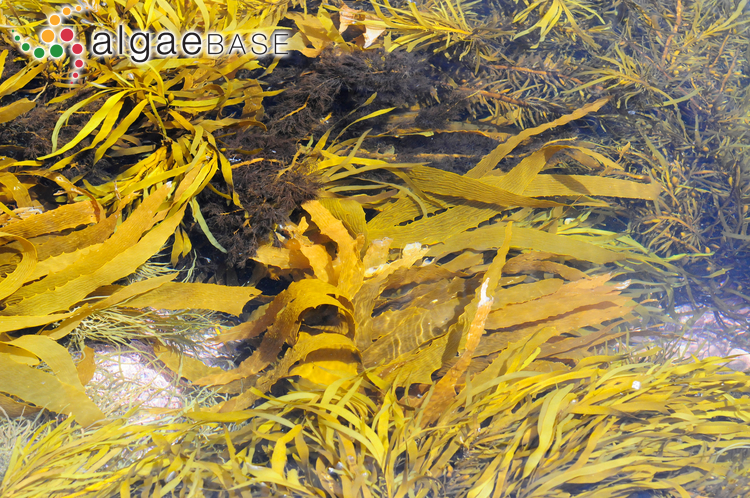 The first year in the life history and the survival of the juvenile marine macrophyte, Ecklonia radiata (Turn.) J. Agardh. Journal of Experimental Marine Biology and Ecology 55: 243-254, 5 figs, 2 tables. Kirkman, H. (1984). Standing stock and production of Ecklonia radiata (C. Ag.). J. Agardh. Journal of Experimental Marine Biology and Ecology 76: 119-130, 9 figs, 2 tables. Kirkman, H. (1989). Growth, density and biomass of Ecklonia radiata at different depths and growth under artificial shading off Perth, Western Australia. Australian Journal of Marine and Freshwater Research 40: 169-177, 6 figs. Larkum, A.W.D. (1986). A study of growth and primary production in Ecklonia radiata (C. Ag.) J. Agardh (Laminariales) at a sheltered site in Port Jackson, New South Wales. Journal of Experimental Marine Biology and Ecology 96: 177-190. Lawlor, H.J., Borowitzka, M.A. & Mccomb, J.A. (1991). A rapid and inexpensive method for surface sterilisation of Ecklonia radiata (Phaeophyta) for tissue culture. Botanica Marina 34: 261-264. Miller, S,M., Hurd, C.L. & Wing, S.R. (2011). Variations in growth, erosion, productivity, and morphology of Ecklonia radiata (Alariaceae; Laminariales) along a fjord in southern New Zealand. Journal of Phycology 47(3): 505-516. Miller, S.M., Wing, S.R. & Hurd, C.L. (2006). Photoacclimation of Ecklonia radiata (Laminariales, Heterokontophyta) in Doubtful Sound, Fjordland, Southern New Zealand . Phycologia 45: 44-52. Nelson, W., Duffy, C., Trnski, T. & Stewart, R. (2018). 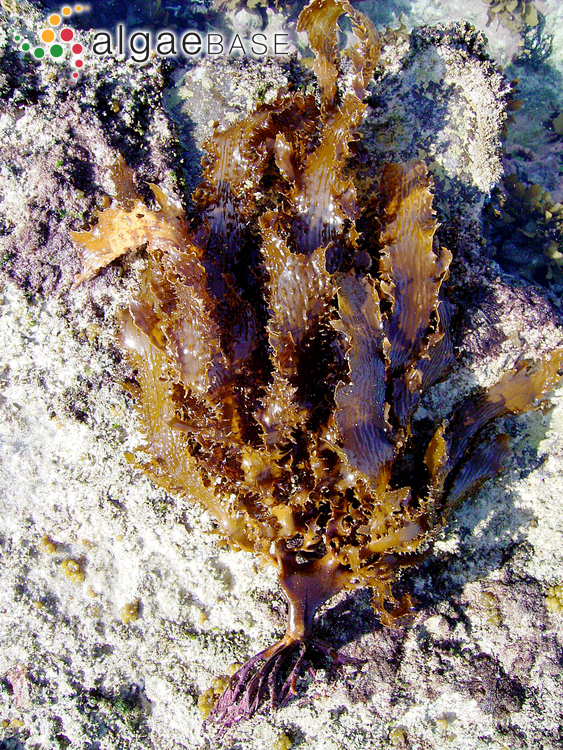 Mesophytic Ecklonia radiata (Laminariales) at Rangitahua, Kermadec Islands, New Zealand. Phycologia 57(5): 534-538. Novaczek, I. (1981). Stipe growth rings in Ecklonia radiata (C. Ag.) J. Ag. (Laminariales). British Phycological Journal 16: 363-371, 3 figs. Novaczek, I. (1984). Response of Ecklonia radiata (Laminariales) to light at 15 C with reference to the field light budget at Goat Island Bay, New Zealand. Marine Biology, Berlin 80: 263-272. Novaczek, I.. (1980). The development and phenology of Ecklonia radiata (C.Ag.) J. Ag. Ph.D. Thesis. Auckland: Auckland University. Staehr, P.A. & Wernberg, T. (2009). Physiological responses of Ecklonia radiata (Laminariales) to a latitudinal gradient in ocean temperature. Journal of Phycology 45: 91-99. Thomsen, M.S., Wernberg, T. & Kendrick, G.A. (2004). 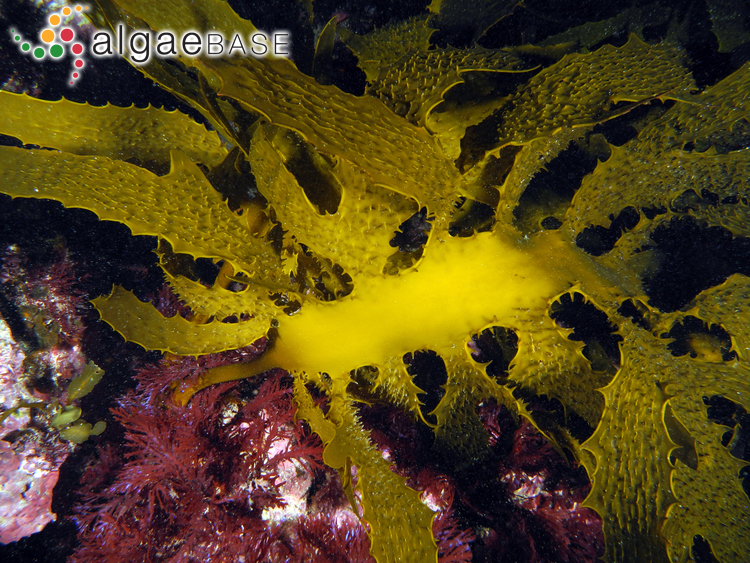 The effect of thallus size, life stage, aggregation, wave exposure and substratum conditions on the forces required to break or dislodge the small kelp Ecklonia radiata. Botanica Marina 47: 454-460. Toohey, B.D. & Kendrick, G.A. (2008). 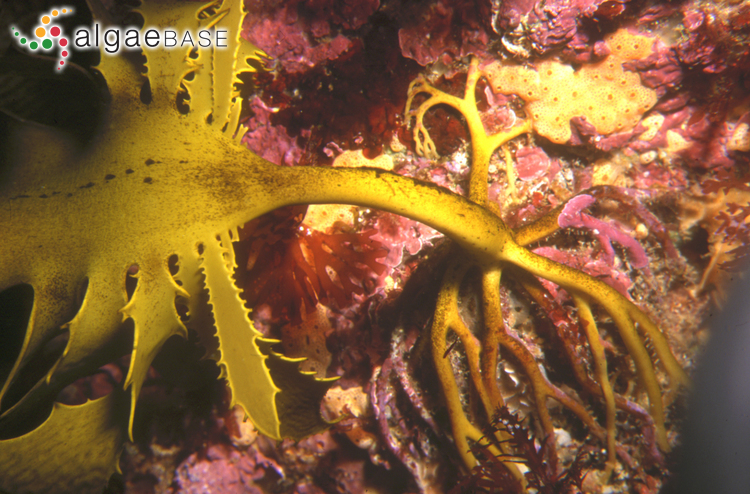 Canopy-understory relationships are mediated by reef topography in Ecklonia radiata kelp beds . European Journal of Phycology 43(2): 133-142, 5 figs, 3 tables. Wernberg, T., Coleman, M., Fairhead, A., Miller, S. & Thomsen, M. (2003). Morphology of Ecklonia radiata (Phaeophyta: Laminariales) along its geographic distribution in south-western Australia and Australasia. Marine Biology, Berlin 143: 47-55. Wernberg, T., Toohey, B.D. & Kendrick G.A. (2005). 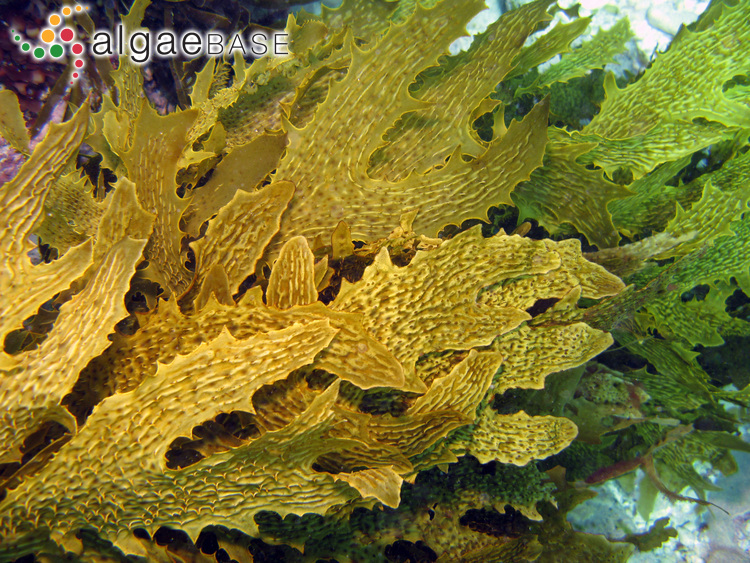 Modification of the physical environment by an Ecklonia radiata (Laminariales) canopy and its implications for associated foliose algae. Aquatic Ecology 39: 419-430. Wood, W.F. (1987). 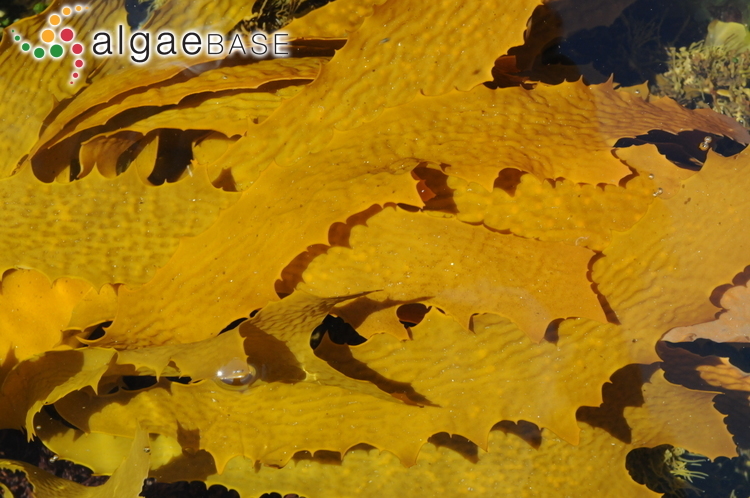 Effect of solar ultra-violet radiation on the kelp Ecklonia radiata. Marine Biology, Berlin 96: 143-150.